Dr. Palaniappan with Alia International Hospital in Mahboula, Kuwait in a short span of two years, has become very popular and is a very busy medical practitioner with a magic touch and has earned the goodwill of the parents community. He is a well-known personality not only in that region, but most of Kuwait and is hailed by many parents for his kindness and accurate diagnosing and treatment capabilities for their children. Dr. S. Palaniappan was born and brought up at Chennai, India and he completed his schooling at SBOA Matriculation Higher Secondary School, Anna Nagar. He qualified as a MBBS Doctor in the year 2001, from Madras Medical College & Research Institute, which is one of the Country’s prestigious educational institutions. He was a born leader among his classmates and a visionary among his colleagues. He has been very keen in providing good healthcare and awareness to the rural public of Tamilnadu, India and served them from 1998 to 2001. His service oriented mind and kind heart kept him involved in many free medical camps, Pulse Polio immunization programs, immunization camps and many such schemes. His unquenching thirst for knowledge was kindling inside him, even after completing an under graduation, and he travelled to the United Kingdom and continued his journey in medicine. It was then that he decided about his career and started his saga in saving the lives of tiny tots and became a PAEDIATRICIAN! Dr. Palaniappan continued post-graduation studies in Paediatrics, in the United Kingdom. With overwhelming blessings of God, he had the opportunity to work with many of the World’s leading, renowned and popular Paediatricians, during his one decade of professional work in the UK. Dr. Palaniappan is a Member of numerous prestigious Institutes such as General Medical Council (UK), Royal College of Paediatrics & Child Health (London), The Tamil Nadu Doctors Association. He has very extensive general paediatric experience with special interests in Newborn care, paediatric allergy, asthma and respiratory infections. He is very popular and hailed for his diagnosing acumen and also for his appropriate treatment planning and procedural abilities. He is a valued team player and relied upon, whenever an expert opinion is required for a complicated case. Recognizing his extensive publications in the paediatric discipline, clinical achievements and contribution to medical education, he has been awarded several medical prizes in the UK. He enjoys teaching junior doctors and the nursing community. He served as the educational supervisor for medical students and paediatric post graduates of Royal Liverpool University during their clinical postings at the Alder Hey Children’s Hospital. He was also involved in the In-service training sessions, weekly medical presentations and Journal Club of the Alder Hey Paediatric Department. 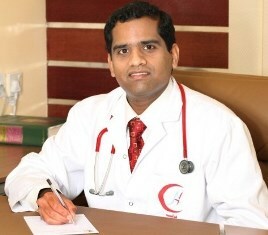 Dr. Palaniappan relocated to Kuwait in the year 2010 and joined Alia International Hospital in Mahboula, to extend his service to the local and expatriate communities, residing in that region of Kuwait. He is married to Dr. Dhivyadharshini, a Physiotherapist and the couple is blessed with a son, named Nittin, who is five years old. Dr. Dhivyadharshini studied at Sri Ramachandra Medical College, Chennai and is now working at Alia International Hospital, Mahboula, Kuwait. His parents are Shri. M.R. Senthamilarasu and Smt. S. Sheela and he has one sister. Dr. Palaniappan proudly extolls that his father, Sri.Senthamizh Arasu is his Role-Model. He was a popular News Reader at Tamil Doordharsan too. 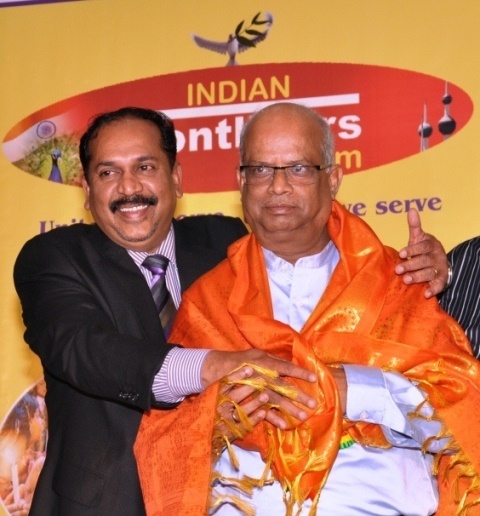 Arasu is a distinguished and a well known personality among the Indian Community in Kuwait. He has been involved in many Indian Socio-cultural activities and is very supportive to the Indian community at large and not so privileged persons, in particular. Arasu has been associated with the Indian Frontliners in all their activities, since inception. He has been the President of Bharathi Kalai Mandram during the year 1993 and was also the President, of Tamilnadu Engineers Forum, Kuwait, four times . He is a good Organiser, Coordinator and Compeer. Arasu has acted in Dramas and has participated in many Music Programmes as a Singer. Arasu worked with various Multinational Companies, such as Invensys and Emerson, since 1992 and he recently took retirement and will be settling down at Chennai, India. His hobbies and interests apart from medicine include Badminton, Cricket and South Indian Music. He is currently the moderator of the web group of his batch MMC Alumni Association Members. An ardent devotee of Lord Almighty, a socially responsible citizen, a leader in paediatric medical fraternity and a law abiding citizen and expatriate, Dr. Palaniappan is a role model professional of our Nation, mother India and keeps her name and flag, flying high. May God be with him and bless him in all his endeavours.